Warm weather is coming swiftly, and as usual the modern gentleman will be hosting and invited to many different functions, and all eyes will be on the gentleman because we stand out in this world as beacons of light. At many of these functions there will be spirits flowing and every gentleman needs to have knowledge of what they are drinking. This article will focus on cognac the drink of royalty. We will give a brief history, explain the different types of cognac, explain how to drink it and what glass you should take your cognac in. Cognac is a good choice because a good bottle is as affordable as comparable other types of liquor (usually in the $25-$50 range), but you can also buy a $40,000 bottle of Remy Martin Louis XIII Rare Cask if you have that laying around. Cognac is, basically, a type of brandy. That means it’s made by distilling wine, and then aging the resulting spirit in wood barrels. The main difference between Cognac and your basic brandy is the Cognac label can only be applied to the spirit if it was produced in a specific geographic region—the fittingly titled Cognac region of western France, a couple hundred miles southwest of Paris, and just a bit north of Bordeaux. Cognac was invented when farmers removed the water from wine to make it more portable on journeys (and cheaper when taxed by volume). While some companies have their own unique ways of categorizing their Cognacs, here are the four most common categories, ranked by age, expense, and (usually) quality: V.S. – Very Special these cognacs are very young and is at least two years old. V.S.O.P. – Very Superior Old Pale these are at least 4 years old. X.O. – Extra old and are at least 6 years old. There are X.O. cognacs that are over 20 years old. Water tends to make cognac somewhat bland, the ideal way to serve the spirit is neat, and at room temperature or slightly cooler. This is the best way to drink cognac. If you must use cognac in a cocktail, don’t waste money use only VS, the cheaper of all cognacs. The reason for this is because when you mix it with different chasers you lose the effect of the aging of the cognac. Now I know you want to run to the store and get some different types of cognac, but before you go you must make sure you have the correct glasses for cognac, there is nothing worse than whipping out a bottle of cognac and putting it in a wine or a 12-ounce glass, you will hear chuckles and get side eyes. Also, you don’t want to be walking around a party with a mixed cocktail glass with a few shots of cognac in it, not only would that get pricey, but you would not look like a gentleman who has knowledge. There are many glasses but I will focus on 2 main ones the snifter and balloon glasses. These are the glasses that if you have in your possession you cannot go wrong when drinking cognac. 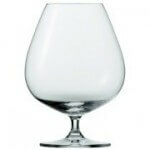 This is the most classic Cognac glass is the balloon glass. 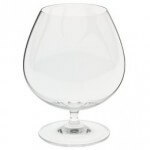 Normally, balloon glasses, which have an extra-large bell and close inwards towards the top, are made of thin glass, this glass with a low base and a large surface for the Cognac to unfold its bouquet, with this glass you can’t go wrong. It’ll be especially appreciated by those with a traditional approach to drinking Cognac. The truth is that Cognac never goes out of style, much like gentlemen it is always good to have a cognac glass in your hand. Even cooks can use it, it can add smoke to cream sauces, such as those that bind porcini to pasta but now is the perfect time if it is going to have a moment. So, the best thing about cognac is the fact that it is flexible enough that a modern gentleman can not only use it for after dinner drinks, it works with a cigar, with dinner or with as a cocktail.